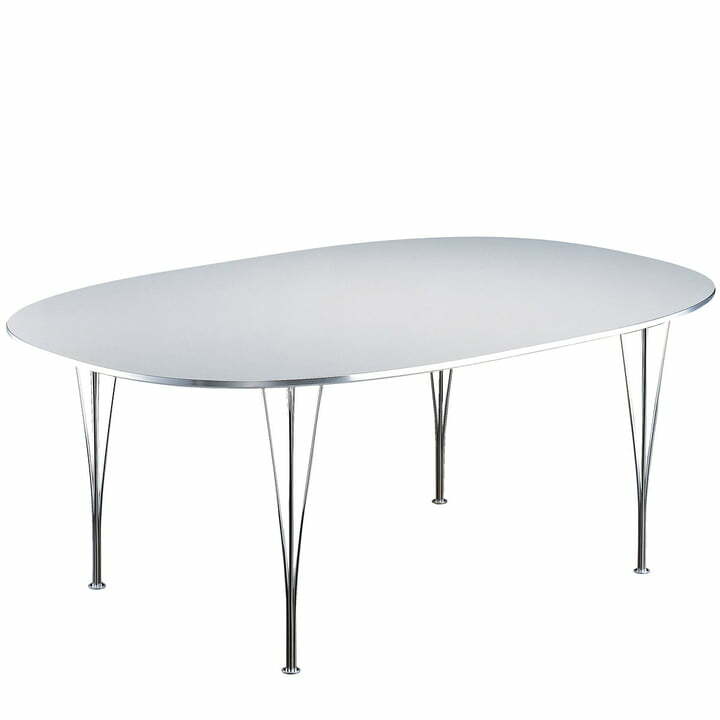 The Super - Elliptical Tables were a cooperation of the three top designers Piet Hein, Bruno Mathsson and Arne Jacobsen. 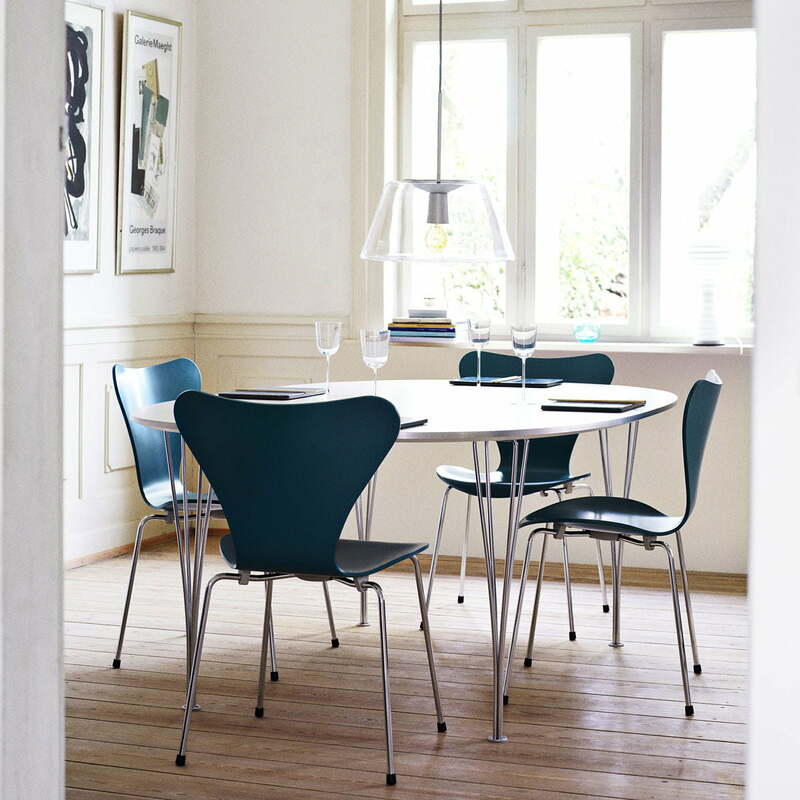 In 1968, Dane Piet Hein designed the tables for Fritz Hansen. The Super - Elliptical Tables are just a small part of the spectacular table collection. 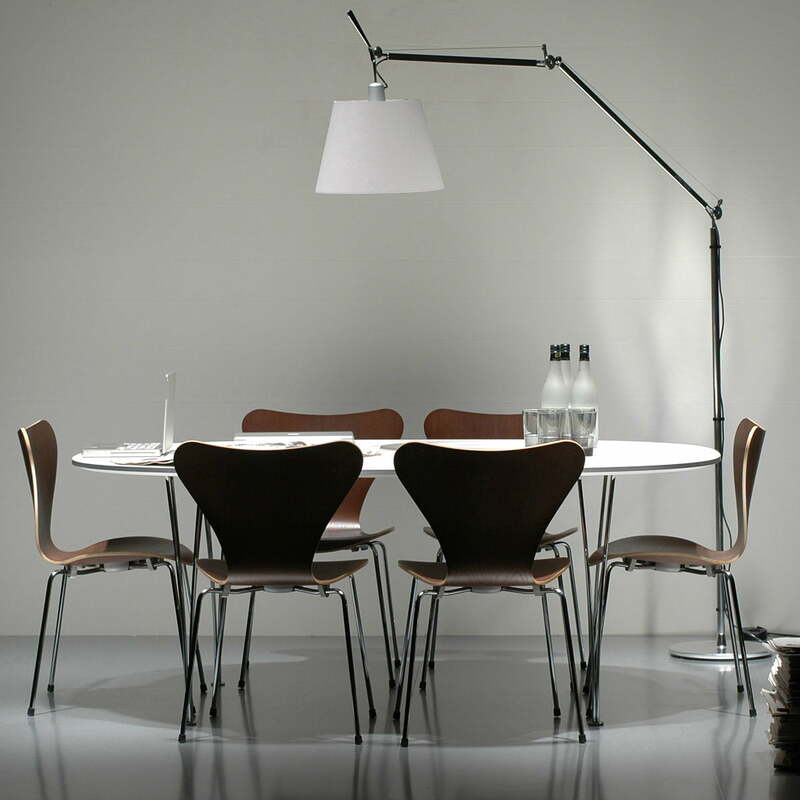 The tables convince with their soft lines and simple, elegant appearance. 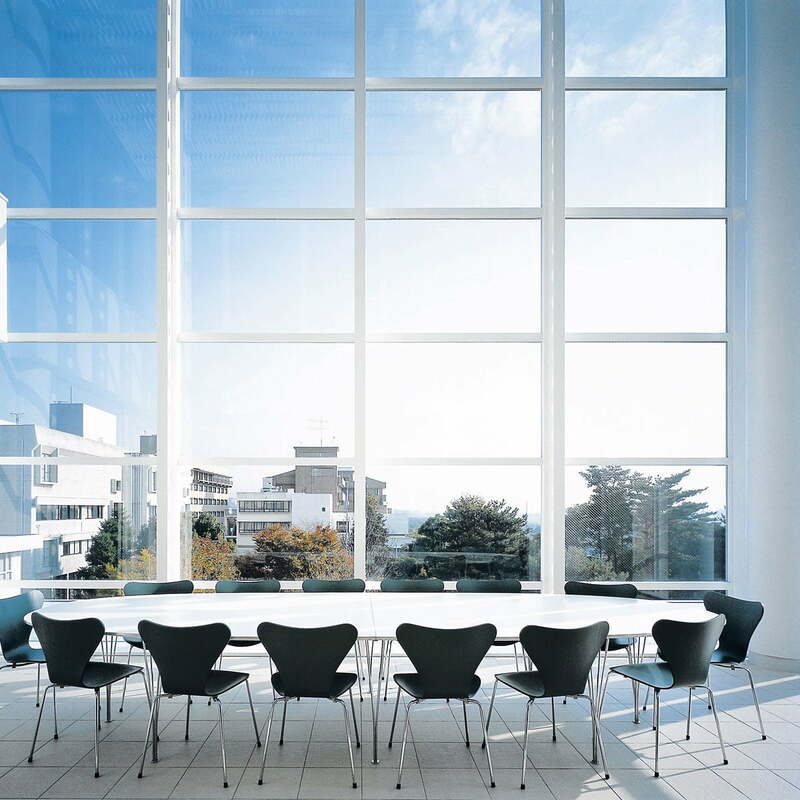 The entire collection covers a wide range of sizes, shapes and materials, and it therefore ideally suits cafeterias, seminar and conference rooms, but also your own home. 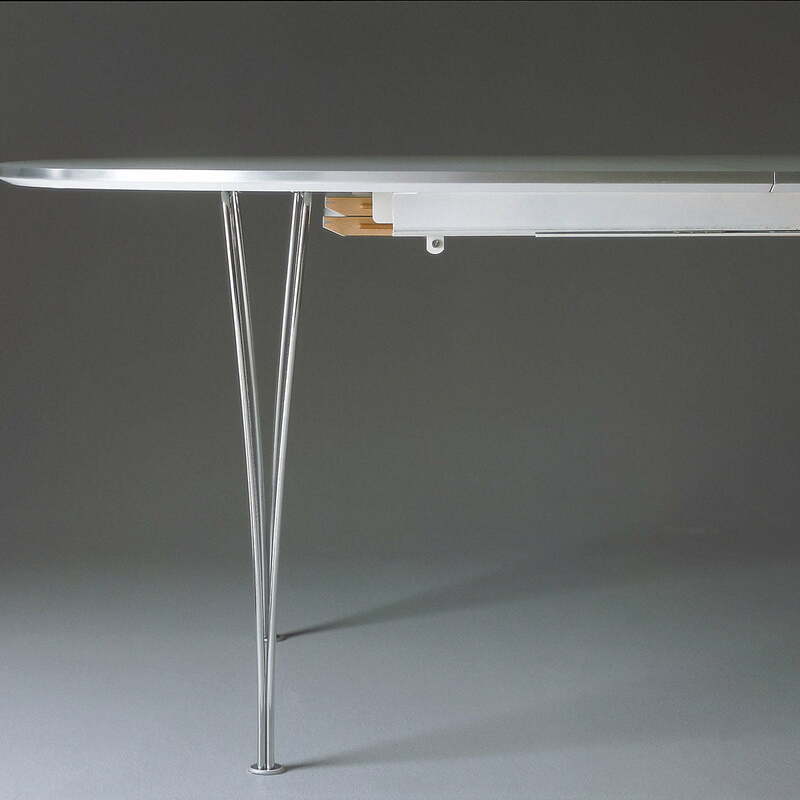 The Super Elliptical Tables are also available in other variations: The tables can be ordered in different measurements, base versions, chromed or satin chromed and in different materials. 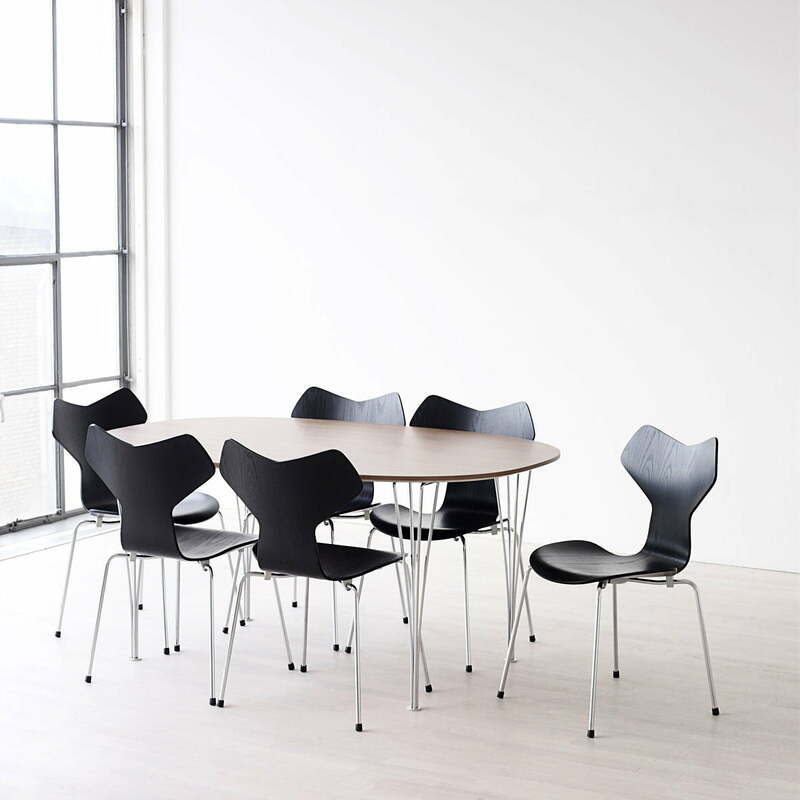 There are also super-circular, extendable super-elliptical, round, square or rectangular tables by Fritz Hansen.